United Nations (United States) (AFP) - The UN Security Council travels to Mali and Burkina Faso this week for an up-close look at the worrisome Sahel region, where a jihadist insurgency is showing no signs of weakening and is driving mass displacement. Led by France, Germany and Ivory Coast, the visit will be the council's fourth to Mali since 2014 and second to Burkina Faso, and comes as the council is considering the future of the large peacekeeping force in Mali. Another Franco-US showdown is looming over the fate of MINUSMA, the 14,000-strong peacekeeping force set up in 2013 after the jihadist takeover of northern Mali was beaten back, diplomats say. The council faces a June deadline to decide on the mandate of MINUSMA and a key meeting is scheduled on March 29 to discuss the way forward. After it intervened militarily to drive out Al-Qaeda-linked extremists from northern Mali in 2013, France kept 2,700 troops in the region and has enlisted the United Nations in an effort to shore up the Bamako government. A peace deal was signed between Bamako and some armed groups in 2015, but large areas of Mali remain out of government control, despite the push to isolate the Islamists. French Ambassador Francois Delattre said the visit will "help expand the information of council members on the peace process in Mali, the surge of the G-5 Sahel force and the situation in Burkina Faso, which faces a security threat." France has hinted that it could once again ask the council to approve direct UN funding for the G5 force after the United States firmly rejected that proposal last year. 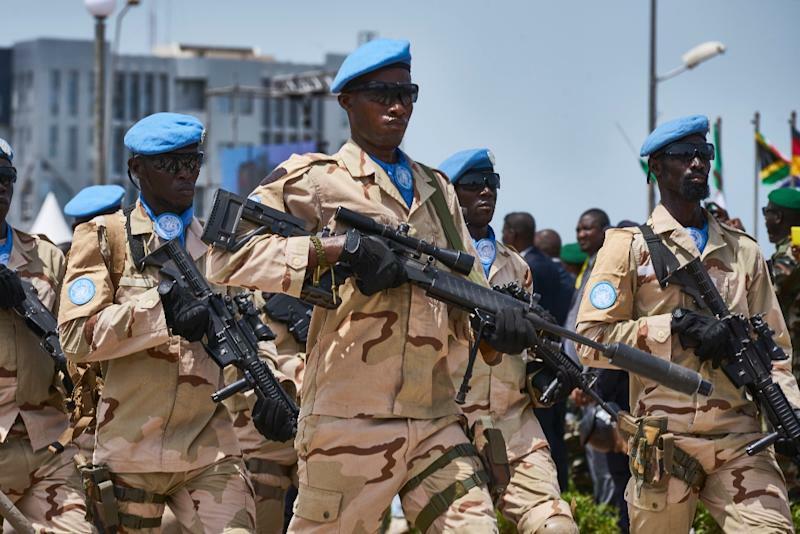 The United States has bilaterally contributed $111 million to the Sahel force made up of troops from Burkina Faso, Chad, Mali, Mauritania and Niger, but opposes regular annual funding through UN channels. President Donald Trump's administration is also cutting its financial contribution to UN peacekeeping and pushing for major cuts in blue helmet operations worldwide. "The Americans by and large, in all peacekeeping, they want to cut. They want to reduce. (They say) If it doesn't work, move out," said South African Ambassador Jerry Matjila, who will take part in the council trip. "They need to look at things differently." The visit "is to show solidarity, to show that the UN can talk with one voice on this issue," he added. The council will arrive in Bamako on Friday for meetings with Mali's leaders before heading to Ouagadougou on Sunday. Around 4.3 million people have been driven from their homes in the worsening violence that has engulfed the Sahel, including one million over the past year, according to UN humanitarian officials. In Burkina Faso, more than 100,000 people have been displaced, over half of them since the start of 2019. "Instead of paving the way for greater UN funding in the Sahel, the biggest impact of this visit might be in safeguarding the UN's already limited resources in Mali," said Jean-Herve Jezequel, director of the International Crisis Group's Sahel program.